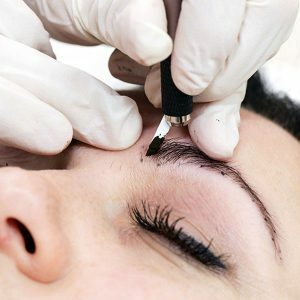 Microblading is often described as Permanent Makeup, but it is semi permanent, using a unique hand tool to create curved hair like strokes carved into the skin and filled with medical grade pigment to create the illusion of brow hairs . Ladies wanting a low maintenance life, swimmers or grey brow haired ladies now want the convenience of a Brow in HD permanently in semi permanent cosmetics. This is called Eyebrow Embroidery. No more brow penciling, shading, or stenciling every morning to keep up a groomed look. Our client base ranges from girls as young as 14 yrs (first brow consult) up to 84 yrs. Getting new eyebrows for some one recovering from Chemotherapy has been voted as the most important treatment. Whether you have over plucked, over waxed, have brow scars from childhood or just want to showcase your existing brow, Eyebrow embroidery is for you! There is no need to settle for temporary measures when Eyebrow Embroidery renders your eyebrows maintenance free for longer periods. Clients with over plucked brows or brow mishaps can avail from the wide service of treatments whilst waiting for their brow hair to grow back (Brow Rehab). 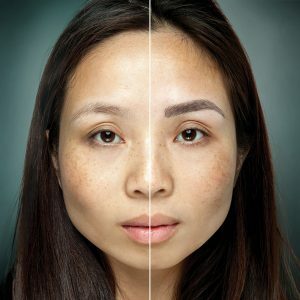 The illusion of a fuller brow can be created temporarily, and all sorts of low maintenance camouflage tricks can be used to disguise a less than perfect brow. Clients then return every 6-8 weeks to have their brows maintained. However, busy ladies and those wanting a more semi permanent brow opt to have Eyebrow Embroidery done, where by maintenance is 18 – 36 months to keep the look fresh. This is where the client showcases her already good brow. It is more than a salon treatment and not as permanent as Cosmetic tattooing (Permanent Make-up), so it is perfect for the cautious client. CouturEye’s ethos is to create a ‘natural look’ emphasizing the clients natural features and great care is taken to deliver an attractive end result,with pigments matched to your existing brow hairs, for an overall attractive look. Each brow hair is drawn on one by one to create a natural look. This is often referred to a 3D, hyper realism, 6D and so on. What best describes this technique is that the hair strokes are placed one by one under the skin (not deep at all) and the pigment settles into a home there, mimicking a brow hair. It is NOT a flat, dull block or powder brow. One would need to look twice when told they have a eyebrow Embroidery; the hair strokes look realistic. Occasionally we may recommend some shading In between the brow hair strokes to give extra depth to the brow, but we will advise beforehand. Before commencing the procedure your technician takes time with each client to discuss their needs and answering any questions about the process. A detailed consultation ensures that the end result suits the client and matches their expectations. Please read the below and if you have any further questions they can be answered at consultation time. If you are currently under going Cancer chemotherapy it is usual to wait 6 weeks after the treatment end to have your Eyebrows attended to. This also includes clients undergoing treatments for acne or rosacea. Please consult your medical doctor or dermatologist before committing to any treatments. Eyebrows frame the face, and when designed correctly, can add symmetry and definition to lift the eyes, give a brow lift and create a more youthful appearance. Our eyebrows are the windows to our emotions; happy, sad, excited, scared, or pensive. Those with sparse or light eyebrows can enjoy beautifully shaped, natural looking brows created with single hair strokes which resemble small natural hairs for a fuller finish. Unlike Eyebrow tattoo of old, these are semi permanent and fade over a 2 year period naturally, as the pigment is not placed as deep in the skin as tattoos one would get in a tattoo parlor. A medical grade pigment is used, which is hypo allergenic. It is NOT a block brow or powder look brow. The hand held pen instrument used in this technique has 15 different needles aligned in a row. It is NOT a blade. Eyebrow Embroidery is a 2 step process- usually 15 – 30 days apart. This is very important to complete 2 visits. The initial procedure takes 1-2 hr approx.. During this time, a consultation is undertaken, a color tone chosen and initial outline of the procedure area is drawn on for the client to approve. Once the client is satisfied with the basic shape and symmetry, (please note that our faces are NOT symmetrical, as one side is flatter than the other), however as Brow Artists, we aim to create as much symmetry as possible. The area is then traced over, then the permanent pigment is applied with a disposable, one use only hand held tool and not a machine. The procedure does not commence until the client is 100% happy with the shape. have their own style, this is why I urge clients to come for a consultation before the procedure so you can determine if we are the Brow artists for you). The end result will depend on 50% pigment and 50% healing. We all heal differently, and what works on one client may not be effective on another. This is why a second visit it so important, it corrects any irregularities in color tones, and makes the look semi permanent. The second stage of the treatment is called a ‘touch up’, and takes 40 min approx.. This usually happens after 15-60 days because it takes that long for the pigment to settle in the skin, heal, peel and fade off softer. The brows naturally exfoliate in the previous month giving way to healed skin with the brow strokes just underneath it. It is IMPERATIVE you complete the touch up treatment, as without it, it will be a job half done and the results will not be optimum. The touch up gives the client an opportunity to get used to the initial finish before a final touch up consolidates the pigment into the skin, thus preventing fading. The color will have faded significantly in this 30 days as the skin heals, peels and fades. This is normal. The look of the brows in the first 10 days will be very defined and no indication of the finished result. If the touch up is not attended to after 4-6 weeks, the brow will fade away gradually, and you will wonder why you bothered.